Rusk County is located in Northwest Wisconsin between Rice Lake and Tomahawk in the north western middle part of the state with the Flambeau River flowing through it. Rusk is known for its cross country skiing, River fishing, hiking, golfing, bird watching, hunting, camping, geocaching, parks public land which also has Ice Age Trail, Murphy Flowage County Park, Devils Creek State Wildlife Management Area, Washington Creek State Wildlife Management Area, Potato Creek State Wildlife Management Area, Josie Creek County Park, Dairyland Reservoir, Big Falls Flowage, Amacoy Lake plus a couple communities including; Weyerhaeuser and Ladysmith. It's surrounded by 6 other Counties; Sawyer, Price, Taylor, Chippewa, Barron and Washburn. On this site you can search for Bars, Bars & Grills, Taverns, Pubs, Nightclubs, Sports Bar, Saloon, Roadhouses, Micro Brewery, Whisky Bar, Dance Club, Wine Bar, Hotel Bar, Restaurant Serving Alcohol, Irish Pub, College Bar, Lounge, Cigar Bar, Dive Bar, Music Joint, Specialty Bars, Cocktail Lounge, Beer Bar, but NO Home Bars and more... located in this county, listed by a real estate agents. 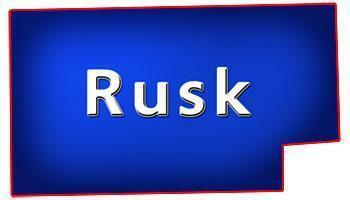 Rusk County, Wisconsin GIS MAP Information!